Impress her with our "Purplelicious" floral arrangement! Stunning in both style and design, it adds pizzazz to any business, event, occassion. 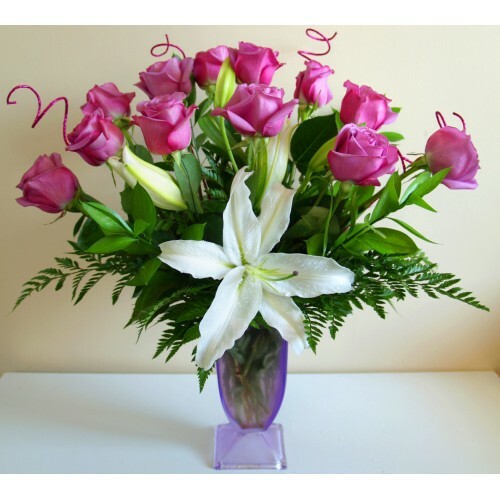 Included are a dozen purple roses and one large lily, all supported by a lavender vase.